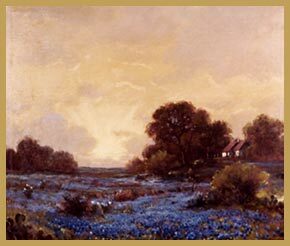 Known for his scenes of the California coast, Rocky Mountain landscapes and depictions of the springtime flowering of the Texas Bluebonnets , Robert W. Wood probably painted more works of the landscape of the United States than any artist in the annals of American art. Although he was bon in England, he worked in the United States for almost sixty years and became known as an American painter. Once he reached artistic maturity in the late 1920s, his output was prodigious, and the facile artist often completed a painting a day. Because of the size of Wood's artistic production, or oeuvre, his works can be found in all fifty states and in many foreign countries. He was also one of the most widely reproduced painters in the history of art, and millions of his reproductions were distributed around the world. Collectors who obtain a work by Robert Wood from a gallery, at auction, over the internet or through inheritance, often have questions about their painting. Is it a painting or a reproduction? If it is a painting, when and where was it done? Is it an authentic Robert Wood? How does it compare in quality to other works by the artist? What is it worth? These are questions we can assist you with. 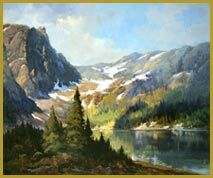 This site will highlight the different eras and subjects of Wood's long and varied career, illustrated with representative and authentic examples of his work - paintings which have passed through our hands and which are now in private collections throughout the United States. 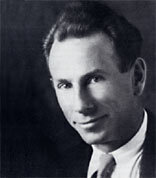 We hope to create a greater awareness of Wood's life and artistic career and to correct some of the inaccurate information and misconceptions that have long confused collectors and art dealers. We have illustrated this site with more than one hundred images of paintings as well as documents from our archive on Robert Wood, which dates back more than fifty years. In most cases we have given the image Wood's original title, but occasionally, photograph and title have been long separated, so we have assigned the image a descriptive title.